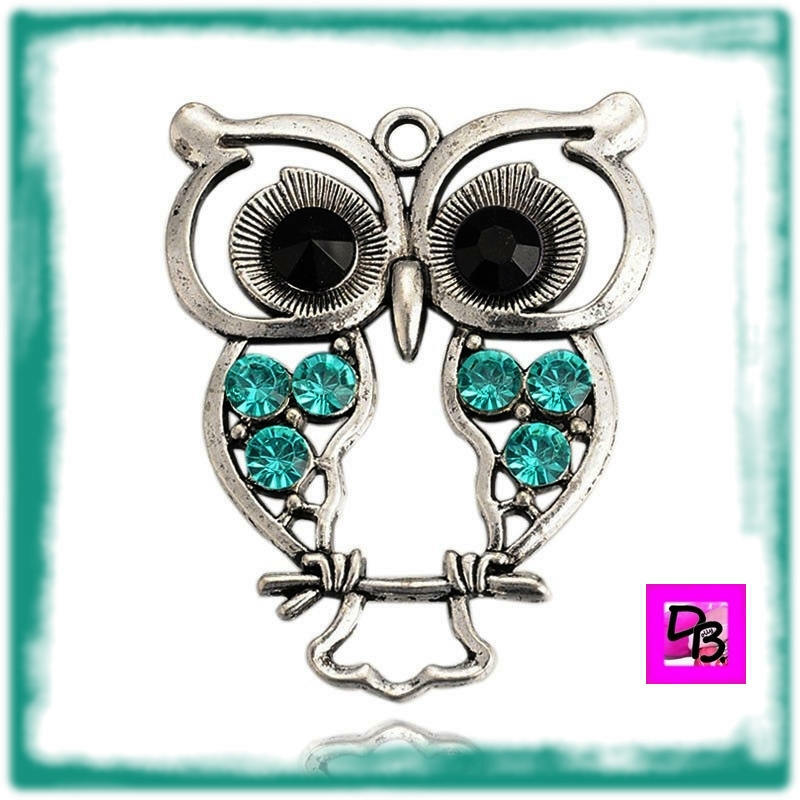 Pendant big OWL 55 mm distressed with aquamarine rhinestone wear it on a silver metal chain. 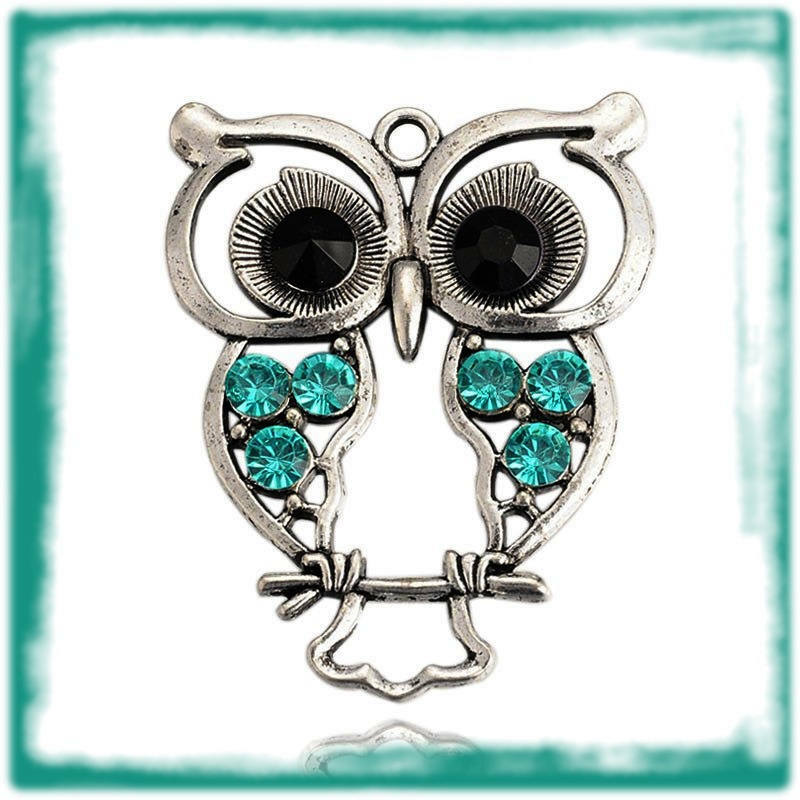 The OWL is a lucky charm, why not give it as a gift! Black rhinestones for eyes - Sapphire rhinestones for feathers. You can hang beads to tail for a bling-bling effect. 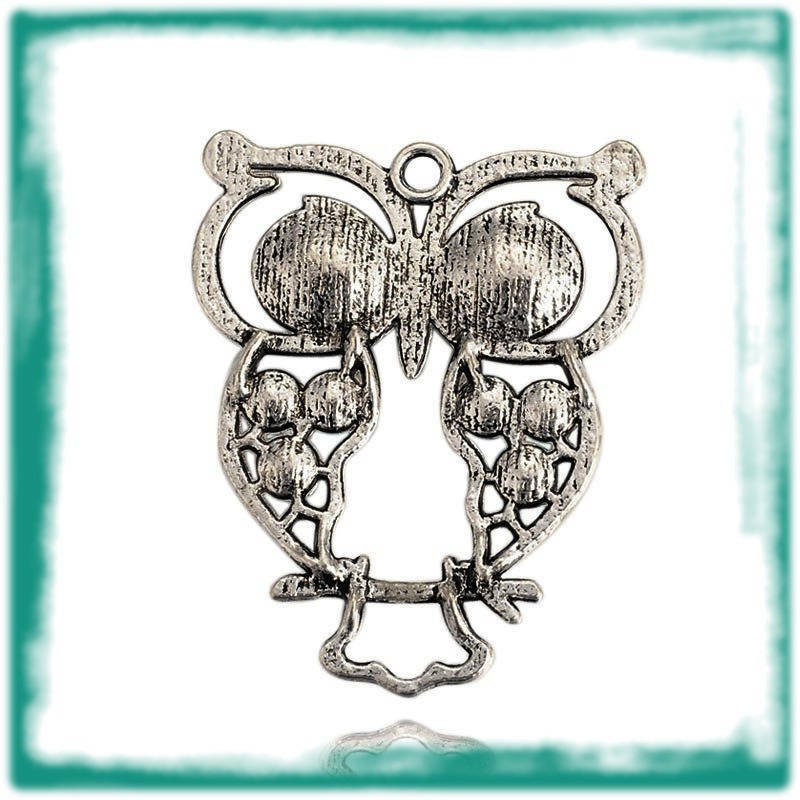 This pendant is sold alone without chain.